Disclaimer: My family and I were hosted at Santa's Village to facilitate this post, however, all thoughts and opinions are my own. 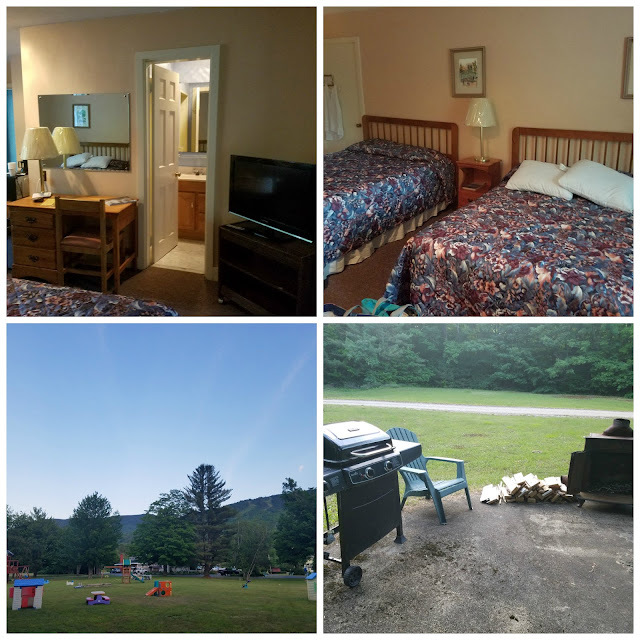 After a wonderful vacation in Pennsylvania (read all about it here), we came home for one night, dropped off suitcases and repacked to head up to New Hampshire. Crazy, right? 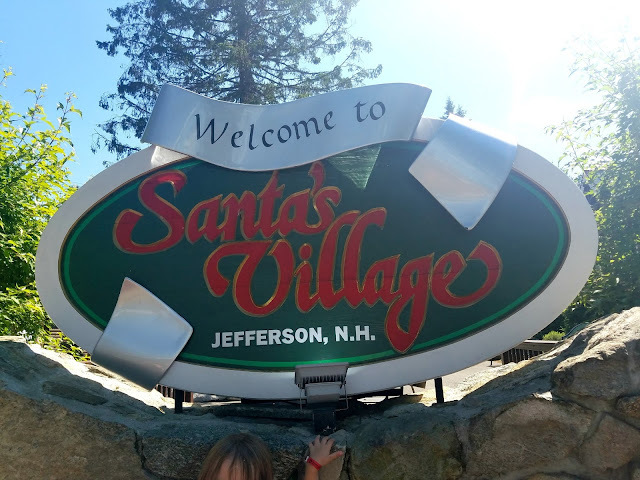 We had been invited to visit Santa's Village as part of #SantasSquad and I knew the kids would just love it so we made a weekend of it. Growing up, David always stayed at a place call Sky Valley so we checked their website and they had 2 units left. We booked it and got ready to go! I was pleasantly surprised when we got to Sky Valley. For how affordable it was, and the fact that my husband has been going for the last 30 years, I expected much lower quality. The beds were comfortable, the unit had a mini fridge and microwave, and lots of space for all of our stuff. There is lots of open space and play equipment for the kids. Grills and fire pits everywhere (you can rent a propane tank from them or bring your own) and our room actually had 3 beds so everyone was comfortable. I was actually really sad that we weren't staying longer because I would have loved to check out the pool and spend another night cooking s'mores. However, I was super excited to go to Santa's Village so it was an okay trade off! Fun story: we were actually almost late to Santa's Village! David told me it was only a 15 minute car ride so as we went to go get breakfast, I decided to pull up the directions because the service is spotty and wanted to be sure I had them, and it was 40 minutes away! He is so lucky I checked when I did because we had a special reservation at 9 am! We had to get there nice and early because we had the privilege of feeding Santa's reindeer before the park opened! The kids were so excited! Honestly, I was surprised by how close to the reindeer they would get. Even Tyler would laugh every time he got close to them. Even though we got some special time with them in the morning, the Reindeer Rendezvous is open to all guests during the day. You can pet them (for free!) or buy the reindeer cookies (3 for $1) to feed them. I love that there was a sink to wash our hands post reindeer petting and feeding! After an amazing solo carousel ride with Santa Claus, we got to watch the park open from the inside! Our first stop, once the park opened, was to head to the Elf University. Really, the Elf University is what makes Santa's Village so special to me. It's not secret that as an English teacher, I love literacy. I read to both kids while they were still in my belly, packed books for their first days in the hospital, and they both have a bookshelf full of books. Reading is important to me! So, when I heard about Elf University, I lost my mind a bit. 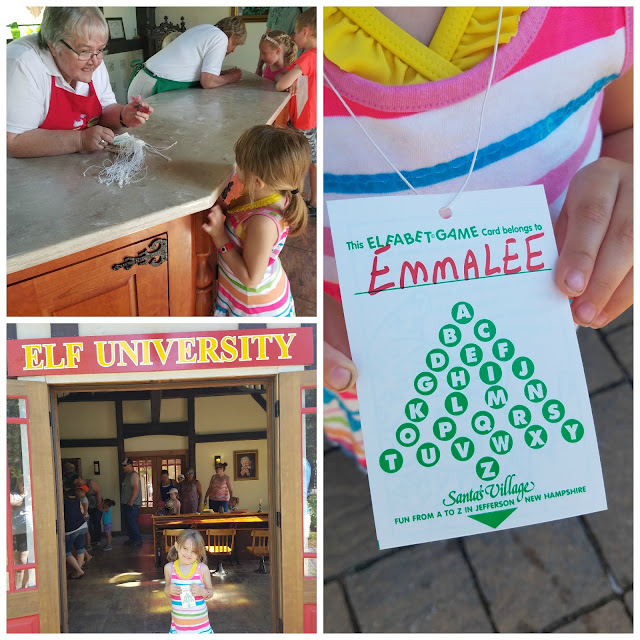 At Elf University, each child can get a punch card with the "elfabet" on it. Then there are 26 little elf statues set up around the park that represent each letter. The kids slide their punch card in, pull the lever and it punches right where that letter is! With Emmalee just starting her alphabet in Preschool this year, it was honestly magical watching her run from elf to elf shouting what the letter was and then rattling off words that start with that letter. The kids would get distracted by all the different rides and wanted to run right to the next one. We went on the Skyway Sleigh, the Antique Cars, The Himalaya sleigh ride, Rockin' Around the Christmas Tree, and the Little Elf Flying School. 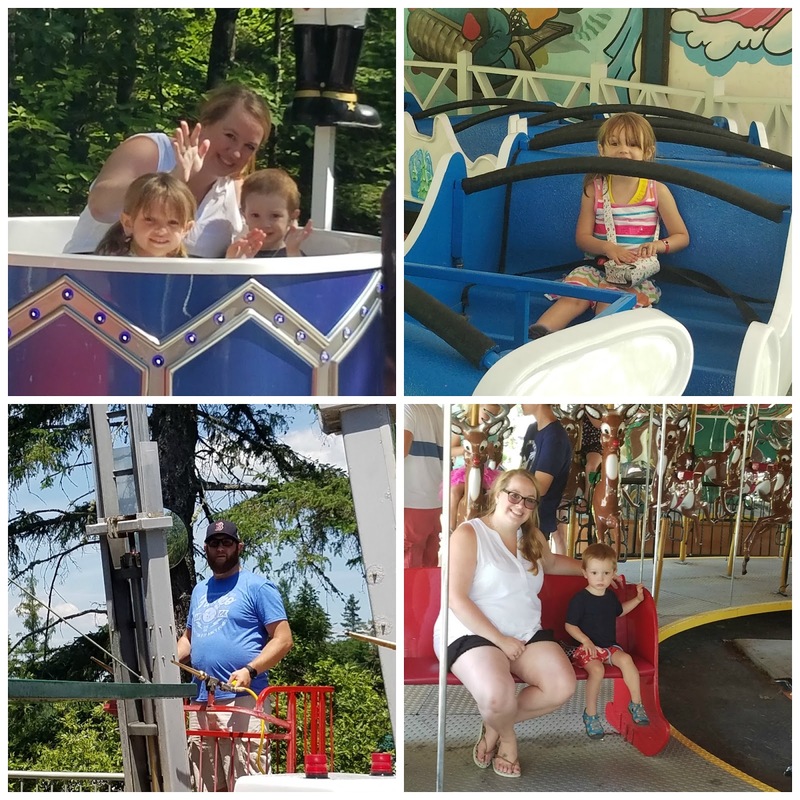 Tyler was absolutely obsessed with the Pixie Mix ride, which is like a little scrambler, and Emma surprised me by going on the Rapid Transit Coaster and down the huge You Tubing slide! I can't even believe that she was brave enough to do it, but I'm so proud of her! In addition to the delicious food, and the fun rides, there were little stores all over the park. Some sold great holiday items and were super affordable! We got an ornament with our picture for less than half of what I expected it to be! Emma's favorite store was the Blacksmith Shop. Okay, so it's not exactly a store, because you can't buy anything, but the blacksmith custom sizes a ring for every kid who visits him. It's such an unexpected thing to come across in a park like this and Emma treasures it still! We stopped to grab a late lunch and Emmalee volunteered to participate in one of the many shows they have, Carol-o-key! 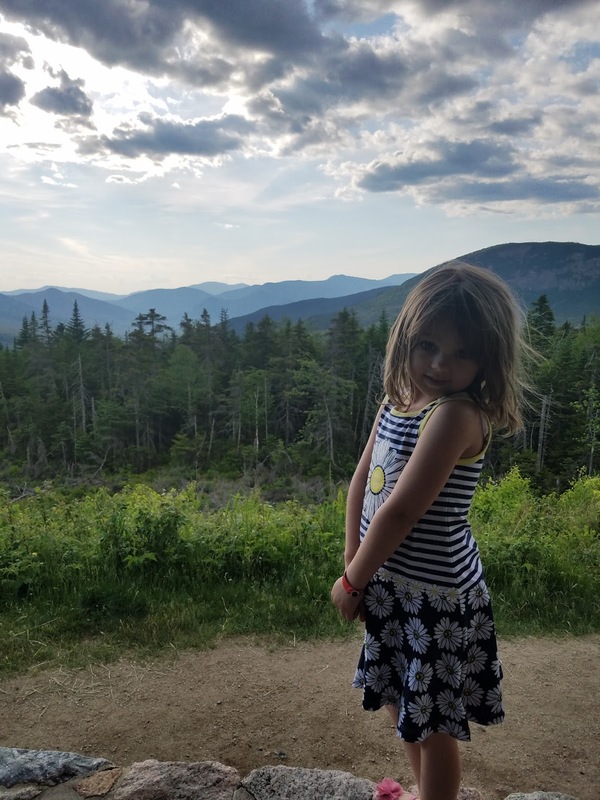 It was adorable and she had so much fun! When we finished up lunch, we changed into our bathing suits (they have great big family changing rooms!) and checked out the Ho Ho H2O water park! 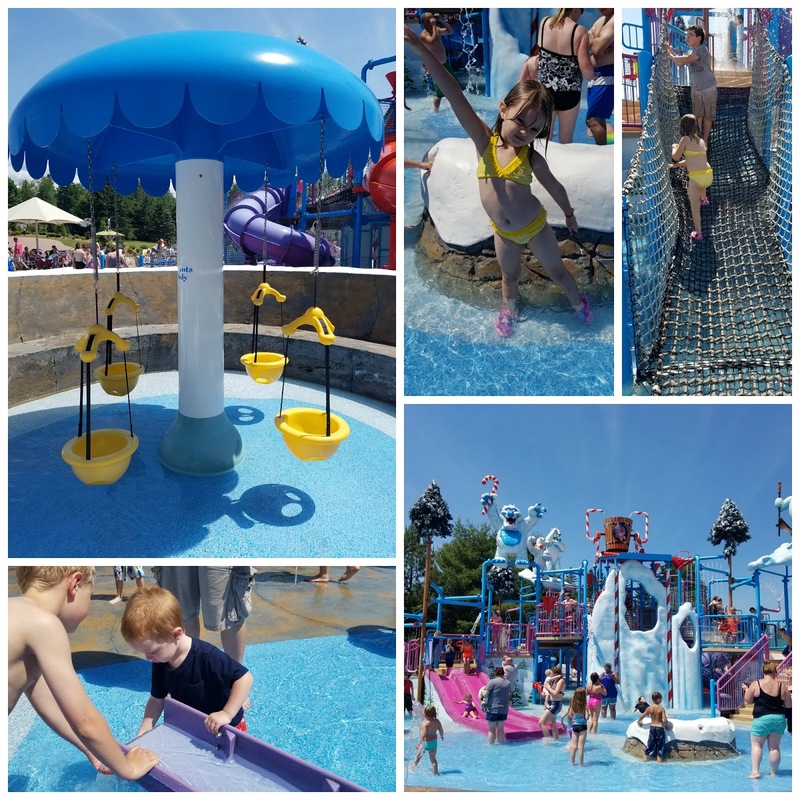 The water park is broken into a couple of pieces including a splash pad that has gentle water streams for the littlest kids, the water slides, and the feature which is full of slides, sprayers, and the giant tipping bucket of water! We could have spent hours there, even more than the 2 and a half we did! 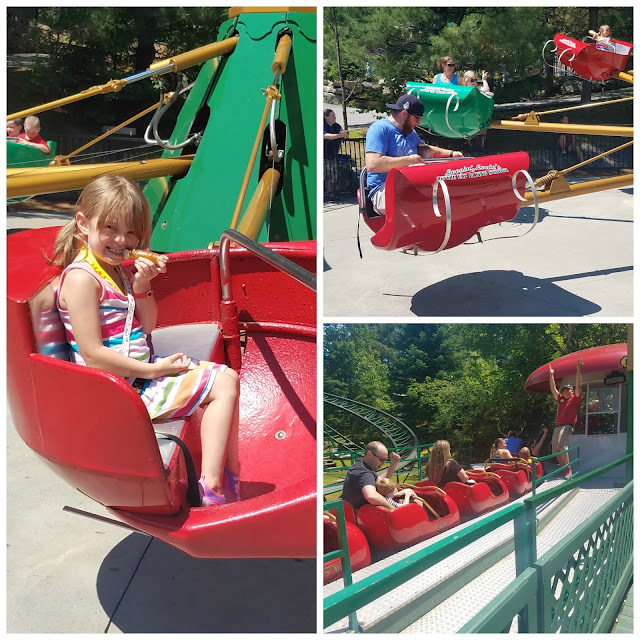 Our day started at 9 am and at 4 pm, we decided we needed to dry off because we had one last, super important place to go before we left the park for the day! 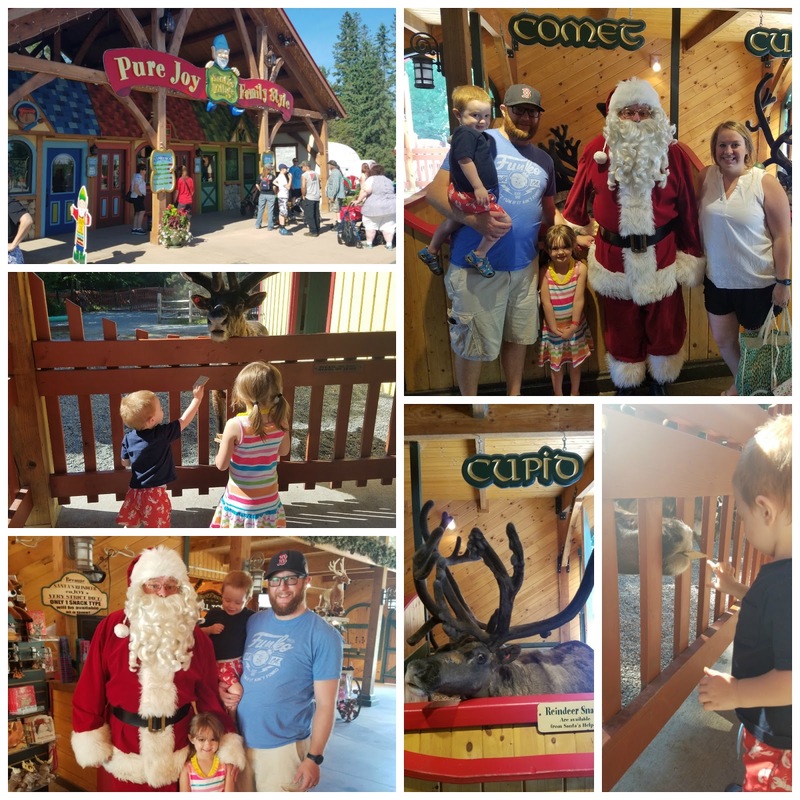 You can't go to Santa's Village and not spend more time with Santa, right? Santa's house is set up in the park and he loves having company! They take family photos with Santa and we were able to buy another photo ornament for only $10! What blew my mind was how amazing Santa was! 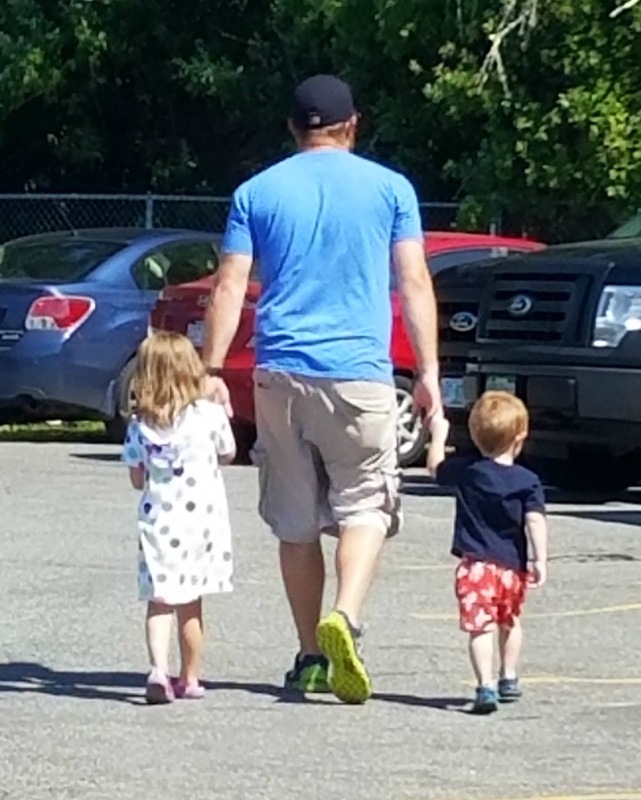 I mean, we hung out with him at 9 am and then he saw hundreds of children, yet he remembered Emmalee and Tyler and struck up a conversation like they were best friends. The smile on Emma's face was just so amazing; it's one of those things that you can't put into words. 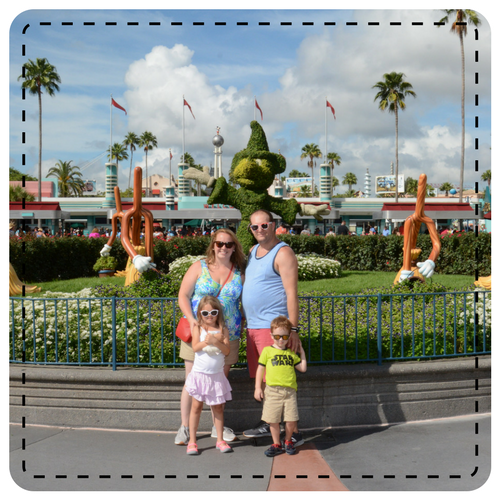 After an amazing trip, we know we will be heading back. Conveniently, the site has it's calendar for the whole year up so we can already start planning trips for the Fall and for the Holiday Season. I can;t even imagine how gorgeous the foliage will be in September and October and what could be more perfect that spending the holiday season at Santa's Village?! 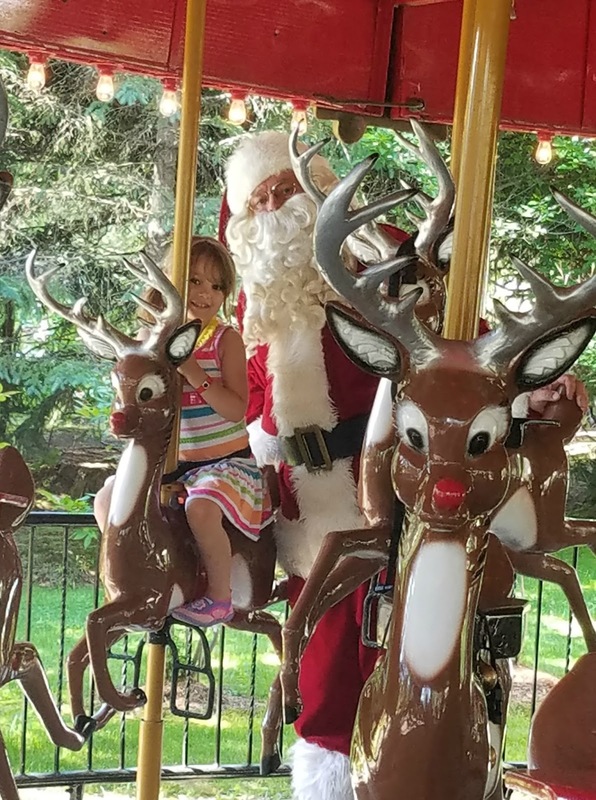 Santa's Village is a great value at only $31 for general admission! 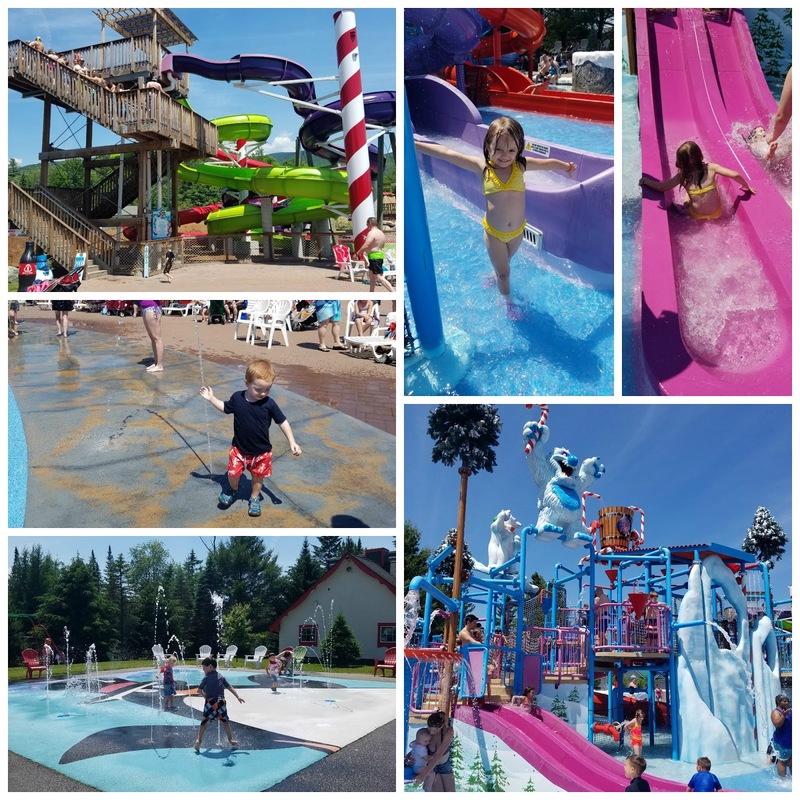 Those over 62 years old are only $28 and children under 3 are free with a paid adult! 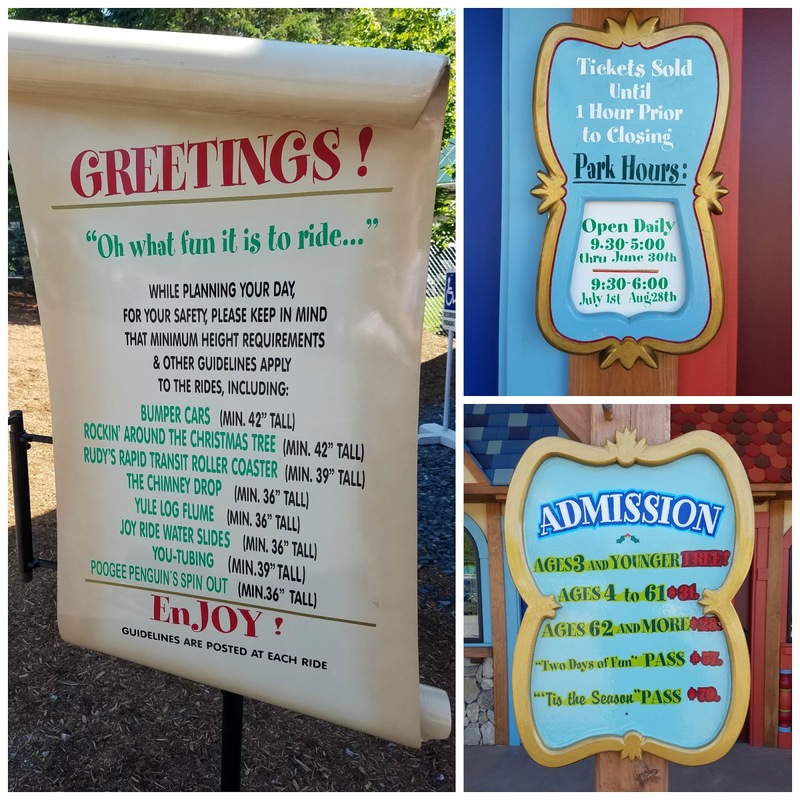 There is an extra value that we didn't get to take advantage of but if you go to the park within 3 hours of closing, they issue you a return visit voucher! For more information on that, you can check specifics here, as well as find out information about Santa's Silly, Spooky Halloween Extravaganza, Santa's New Year's Partybration, 2 Day passes (only $57! ), and all about season passes (only $79!!)! 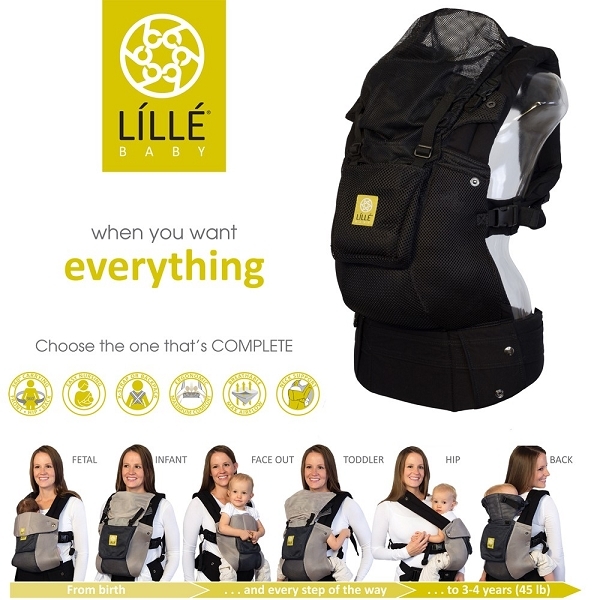 Did I mention that the strollers are free to use during your trip!? That's easily an almost $20 savings based on all of our other stroller rentals that week, although I ended up throwing $10 into the collection box because how could I not? Additionally, if you want to save even more, Santa's Savings Tree offers special promotions based on the day you are going! We got free sodas with our pizza thanks to Santa's Savings Tree! 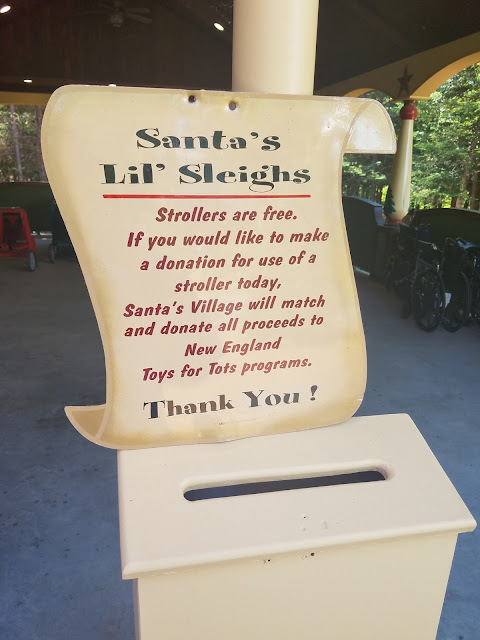 You can find even more information on Santa's Village on their Facebook page, Pinterest page, and Twitter page. We follow them on all their channels and can't wait to head back! Thank you so much Santa for inviting us to spend the day and letting us be part of #SantasSquad!